The best plugin I know to composite a scene is Psd Manager: it compose automatically in layer for Photoshop and it works very well! But Compositing is the most powerful technique for manipulating images in computer graphics is it could be fine to understand a little bit better what Psd Magaer do automatically. Anyway, compositing technique allow us to save our time so we can add the compositing to our list How to reduce the rendering time! A few days ago I read an article explaining a very basic compositing, just to see how it works: the article is comping of Basic Vray Renders, Then I start from there to present the topic: a small compositing tutorial! 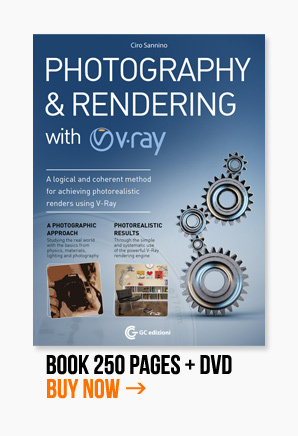 With Vray, Mental Ray and several other rendering engines we can render specific channels. I can choose to render only “certain parts of the scene” for example, direct light, the reflections or shadows. 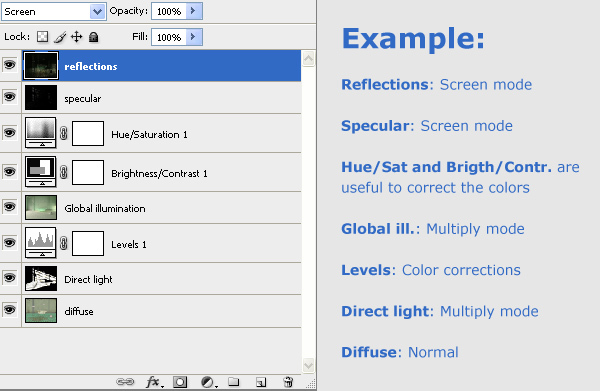 Overlap then – with different fusion methods (multiply, screen etc. ..) – all these images using compositing softwares such as Shake, Combustion, Fusion .. or simply Photoshop. The result will be (almost) the same image! The difference? Control. 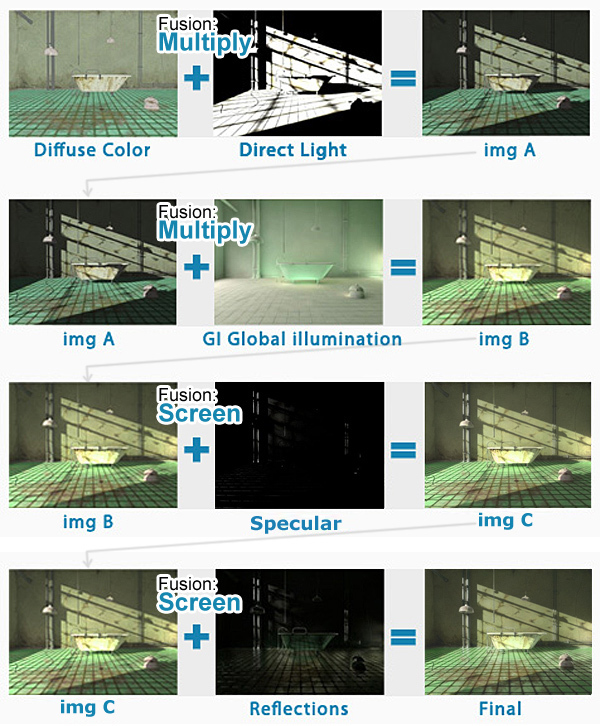 Yes, because having all the separate channels we can choose whether to have more or less global light, manipulate the reflections, reduce or fix some color, simply adjusting on its channels. So you can manipulate the image with a great facility. Download the PSD file below see with your eyes how to control everything. as clear as always, thank you very much for sharing!! Thanks for this tutorial. I wish I had found it a long time ago because it was hard for me to figure this out on my own. One thing that you didn’t mention is that to do + in Photoshop, you have to do a blending mode of “linear dodge.” Some people don’t know that, especially if you have CS2 or earlier. I use this technique all the time and it really enhances the images. Of course I only use it on still shots. can you please give a link on how to create passes through v ray in max? Yes! PSD manager is great! I am hopeful they’ll come out with an update so i can use the VFB instead of MAX’s frame Buffer. I do a lot o passes that only work with the VFB so I end up having to do two renders, one just for the PSD manager. great tutorial sir ,i think it helps me to create a realistic rendering . Sensacional. Excelente recurso para melhorar imagens não tão boas. Great! Very nice way to images up dont just goods so. I am so glad to be shared. its a pride of me to receive your emails again. OH! what a great tutorial, it’s not boring to read and it is short as well as nice explanation. Thanks a lot.